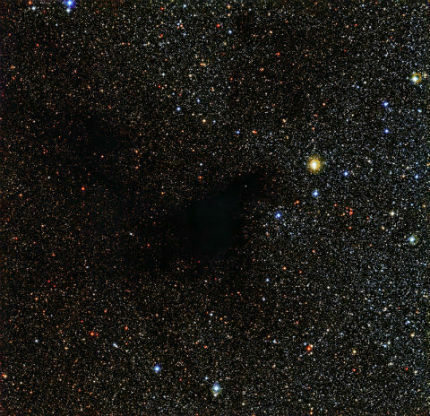 The European Southern Observatory has released a fascinating image of a star field being obscured by a dense, dark nebula in the southern constellation Serpens Cauda called LDN 483 (1). It's a striking image, to be sure, looking at first glance as if there's a dark hole in the starlit sky (2). This is something of an optical illusion - the stars are still there, but the light from them has been blotted out by this immense dark molecular cloud, full of gas and dust which lies about 700 million light years away. This 'dark nebula' is, they tell us, the birthing ground of a new star effectively in its foetal stage of development, just prior to its light turning on. This image has got me thinking, for several reasons. My interest is in finding a companion object to our Sun - a relatively cool, dark sub-stellar object known as a sub-brown dwarf which might still lurk way out there in the vast reaches of the outer solar system. If it exists, then it has yet to be detected by visible telescope surveys, and has evades two major infra-red sky surveys (IRAS and, more recently, WISE). Common sense would say that this object is unlikely, then, to exist. 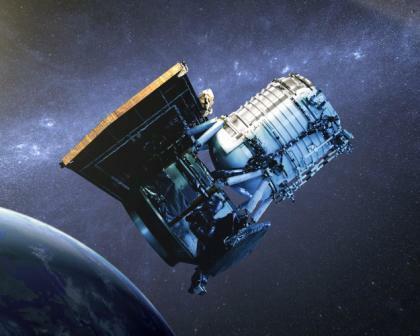 That said, indirect evidence that such an object may still lie undiscovered out there continues to crop up - much of which I have detailed in this series of monthly blogs, and on the ever-popular Dark Star Theory website for some years now. So, there's still something of a mystery here, acknowledged by quite a number of astronomers expert in the machinations of the outer solar system, whose modelling calls for another sizeable planet to explain the gaps in their data (3,4). The problem for all of us is this - where the hell is it? If you're going to go about trying to find something, it helps to know exactly what it is you're looking for. Trying to find a missing planet seems pretty straightforward - you would imagine that it would reflect back some light from the Sun that we could see in telescopes. The smaller the planet, and the further away, the more difficult to detect. Right? Well, yes, but that is then made all the more tricky by acknowledging the fact that the luminosity of reflected light rapidly drops away with distance (by the fourth power), so that objects beyond the planet Neptune become very, very difficult to spot. Even so, a classic terrestrial planet calls for a light signature, however dim, that moves relatively rapidly across the backdrop of stars. But what of a sub-stellar object - a dark, smouldering object more of the dimensions of the massive planet Jupiter? What do we know of such objects once they've become old, and lost their initial youthful light which is occasionally detected by hunters of these tiny sub-brown dwarfs? Well, really, not a lot. It's thought that brown dwarf 'stars' might be as numerous as 'normal' stars, but you wouldn't know it because they're damn tricky to spot. We can only assume that their properties follow along from the objects on either side of the planet/star spectrum. If we are hunting for an object which leaves its mark here and there, but remains undetectable, then we might begin to wonder whether it is somehow hidden from view. Might it be wrapped up in a cloud of gas and dust that is as obscuring to its own light and heat as it is to the stars behind? If so, how could this come about? Similarly, red dwarf and active brown dwarf stars also emit their own stellar winds, clearing volatiles away from their systems. By contrast, massive gas giants like Jupiter do not. So, logically there must be a cut-off point along the spectrum of planets and stars where sub-stellar objects stop firing our coronal mass ejections and the like, and thus stop sweeping their systems clear of volatiles. It seems totally reasonable to me to assume that a Y Dwarf Dark Star would fall into this category. 1) There are many exotic chemical processes going on in the upper atmospheres of the brown dwarfs and their cooler cousins, the T and Y Dwarfs. Might these smog-like clouds of gases and dust somehow be released by the dwarfs into their systems, but then fail to disperse due to a lack of stellar wind? The problem would be how the smog manages to escape the gravitational clutches of such a massive object. Flaring might account for some lose of upper atmosphere, but then that same flaring should fling the gas cloud away from the Dark Star. One can't have it both ways! 2) Highly active volcanic moons close to the Dark Star might spew out very significant clouds of volcanic debris into the Dark Star system over time, which in the absence of solar wind then fails to dissipate. Over billions of years, this might accumulate to significant levels, assuming these moons have plenty of matter to spare! 3) During its lifetime of billions of years, the Dark Star will have been repeatedly struck by comets and dwarf planets in the outer solar system (as well as in the planetary zone early in the life of the solar system) creating significant impact debris fields around it which then failed to disperse. 4) In its travels around the galaxy, the solar system periodically encounters giant molecular clouds. Where the positive pressure of the solar wind up to about 80AU (the Heliopause) would keep the planetary zone clear of this debris, a Dark Star companion situated well beyond the Heliopause would be completely immersed in it. Given the substantial gravity of the Dark Star, it might well sweep up a significant accumulation of gas and dust from these immense clouds, acting like a Cosmic Vacuum Cleaner. With no Solar Wind of its own to disperse these clouds, they would simply hang about, creating an increasingly hazy cloud of smog around the Dark Star system. A similar scenario would also account for the creation of the 'Kuiper Gap', a point at about 50AU beyond which there are seemingly very few Kuiper Belt Objects. Perhaps the Dark Star is a kind of celestial Dust Cart, sweeping out the outer solar system and whatever interstellar smog it might encounter. Let's say that one or more of these scenarios might be correct. It follows then that the emitted heat (and any feeble light) from the Dark Star would be blocked by the obscuring cloud it finds itself immersed within. The system as a whole would be shrouded in darkness. You might wonder why accumulating gas around such a massive body would not simply fall down into the Y Dwarf, and be consumed by it? This is exactly the same troublesome problem that astrophysicists have to deal with when discussing the origin of the solar system - why doesn't the protoplanetary disk simply get sucked into the forming Sun? Recent work has indicated that the system's strong magnetic field causes currents within the disk which prevent this outcome, helping to explain why some matter remains to go on to form planets (5). As such, the same effect would be true of a sub-brown dwarf, whose own magnetic field would be considerable. 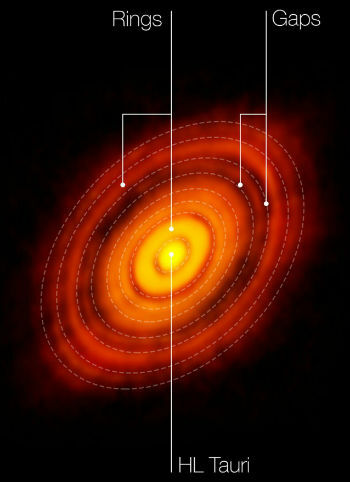 In the same way that a star's protoplanetary disk does not completely collapse into the emerging star, an accumulating cloud of dust and gas around an old sub-brown dwarf would also take hold as a distinct feature of the system. One might imagine that such a scenario could account for an enormous quantity of interstellar and wide companion objects in the galaxy, providing us with an explanation for much missing mass out there. If such obscuring clouds commonly exist around old Y-dwarfs, then no one would ever know because the objects would effectively become invisible. I have wondered in the past whether we should really be looking for a smouldering presence more like a dark cloud than just a planet or 'failed star'. But I have always assumed, perhaps incorrectly, that at the core of this dark aura of smog would be a more or less visible 'core'. Perhaps I was wrong. Perhaps the Dark Star system is wrapped in a dense shroud of gas and dust, rather like the dark Nebulae birthing pools. 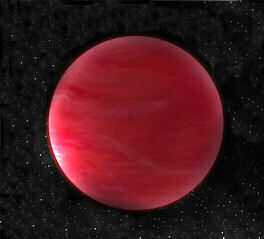 Any planet orbiting such a sub-brown dwarf would become a perfect hiding place from prying eyes. As long as this shrouded Dark Star does not intrude within about 80AU of the Sun, its accompanying gas cloud would be safe from the action of the solar wind. Nibiru, then, would be one of the outer worlds of the Dark Star system entering the planetary zone of the solar system as the Dark Star skirts its periphery, as I proposed in my 2005 book (6). So, could LDN 483 itself be a densely obscuring smog surrounding the Sun's own Dark Star companion and its own planetary system? How do we really know that LDN 483 is a vast molecular cloud 700 million light years away, and not a tiny smog-veiled object in the outer solar system? There are a number of ways of determining an object's distance in space, most of which involve the measurement of properties of its light. But a Dark Nebula does not emit light, by definition, so astrophysicists would have to fall back on parallax effects to do with the seasonal movement of the Earth around the Sun (7). There is no reason to suppose that they have miscalculated with LDN 483 (sounds like a flight number, doesn't it? ), which means that it should not be our Dark Star. But perhaps this does provide us with a clue as to what we might actually be looking for out there, and it's nothing like what astronomers have assumed so far. There may already be evidence of an interaction between clouds of matter beyond the planetary zone with the Heliopause boundary. Studies of the properties of the Heliopause have indicated fluctuations over time, and NASA has suggested that the effect is due to 'interstellar fluff' surrounding the solar system (8, 9). There appears to be anomalous lack of uniformity in the boundary of our solar system, which may be attributable to the action of significant molecular clouds beyond. If these types of clouds have aggregated around a Dark Star over time, then they may provide us with a small, local nebula-like entity which is extremely difficult to spot. The Kozai effect relates to the gravitational perturbation that a large body exerts on the orbit of another much smaller and more distant object. The Spanish astronomers working on this problem used Jupiter's Kozai Effect influence over comet 96P/Machholz1 as a reference for how the mechanism might work for a proposed massive planet beyond Neptune (4). So, if a massive Planet X object exists, it should influence the orbits of other far away objects in the solar system in a predictable and measurable way. Astrophysicists should therefore be able to work backwards from a set of data of perturbed objects, like the ETNOs, to figure out what unseen planets might be influencing their orbits. As time goes on, and more ETNOs are discovered and studied, then a clearer pattern should emerge about the nature of the perturbing influence. 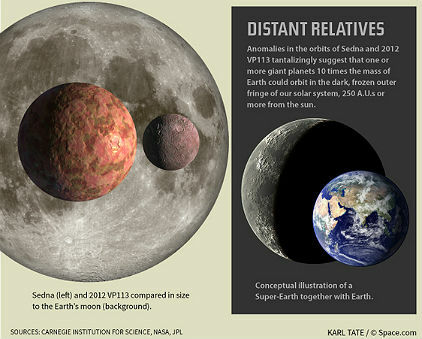 "“These features are almost certainly the result of young planet-like bodies that are being formed in the disc. This is surprising since such young stars are not expected to have large planetary bodies capable of producing the structures we see in this image,”� said Stuartt Corder, ALMA Deputy Director. 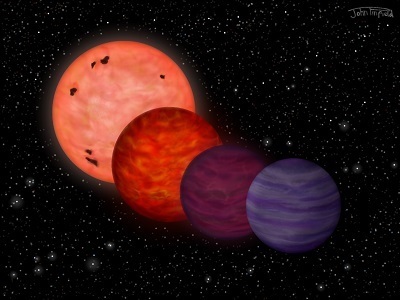 This adds further evidence that nascent planetary systems can extend out to great distances. We already have precedents for wide binary sub-brown dwarf companions to distant stars (e.g. 6). So, the old theoretical argument that a wide binary companion cannot have formed is dead and buried. Given the seeming influence of such a companion upon the anomalous ETNOs, it simply remains to be seen where our own mysterious Planet X lies - and just how big it really is! However, this view is now changing, too. 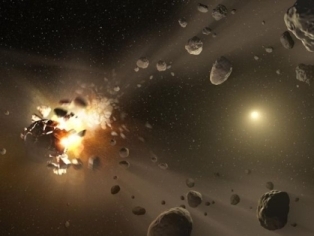 Scientists are now thinking that the origins of much of this debris were violent in nature, giving us a new view of the early solar system as a far more catastrophic place than had previously been thought (3,4). The clear implication of this is that chondrules formed from the violent impacts of massive bodies in the solar system which, a priori, were already in existence. Far from being the initial building blocks, they were created by a violent process involving proto-planets that were already extant in the solar system. Once again, this finding moves us towards an appreciation of the catastrophic nature of the early solar system, and the many questions which remain about how planets form, and die. The asteroids, and possibly also some of the comets, appear to have formed from the by-products of massive cosmic collisions. This sits well with the cosmology of the early solar system proposed by author Zecharia Sitchin, who wrote that a titanic collision between a watery planet orbiting between Mars and Jupiter and a sizeable rogue planet on an elliptical trajectory around the Sun resulted in the asteroid belt and many of the comets (6). Far from being building blocks, as previously thought, they are the scattered remains of a violent incident billions of years ago. "The star that is set to come closest is called Hip 85605, and has a 90 per cent chance of reaching between 0.13 and 0.65 light years away from us in the next quarter to half a million years – although its current position data isn't entirely clear so the estimate may be wrong. 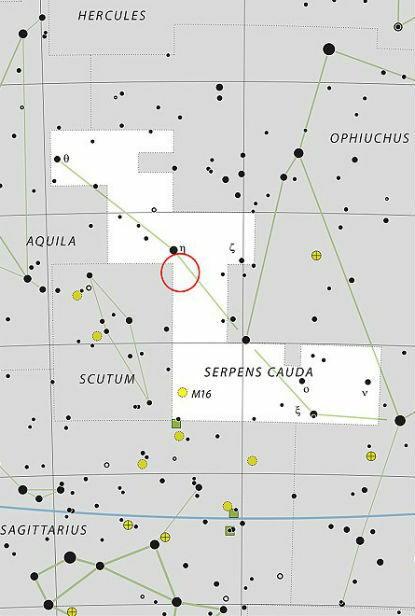 The next closest is GL 710, which has a 90 per cent chance of reaching 0.32 to 1.44 light years in the next 1.3 million years. Which means that it's possible that the star Gamma Microscopii, which is over twice the mass of the Sun, actually moved through the Sun's own comet clouds in the period leading up to the Quaternary Ice Epoch/Pleistocene 2.5 million years ago; an era that saw major geophysical changes and the eventual emergence of humanity. Might there be a link? "Zecharia Sitchin was always keen to try to provide scientific validation for his theories about Planet X/Nibiru. 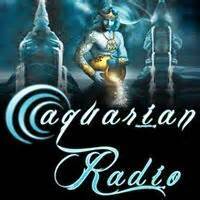 During his life time, several discoveries came to light that he presented as evidence that the Sumerian account of our Cosmic History was correct. He would have loved what has been going on over the last year. New evidence from asteroids and particularly comets has overturned long-held ideas about how the Earth got its water. "The puzzle has deepened considerably, indicating that the water in the asteroid belt has more in common with the Earth's than the water on the comets (what little there is, it turns out). Which creates the thorny problem of trying to work out how Earth got its water from the objects in the asteroid belt. There is no satisfactory scientific explanation for this - except for one possibility: The origin of the Earth is not what Science would have us believe." About 6 months ago or so I read your book and became intrigued with the possibility you're proposing. I'm an applied mathematician, formerly with Lockheed Martin, and I've done some calculations on the angular momentum of the Sun being in orbit with a potential dark companion. I don't know if you're aware of this, but I believe your theory is testable. According to the laws of celestial mechanics two bodies orbiting each other are really both orbiting a fixed point in space between them, the location of their common center of mass. That says the Sun is in orbit as well. To pick a specific example (which I don't propose to be real at all), let's suppose the dark star has a mass of say .0.40 % that of the Sun, an orbital period of say 12500 years, an eccentricity of .50 and a semi major axis of 540 AU (and a few other assumptions as well), then the Sun would have an orbital radius of over 2 AU. This is substantial ! This would mean that for this particular case the Sun would scribe an arc of one degree about every 35 years. The Earth, being in orbit about the Sun, would also sense that small rotation. Using existing gyroscopic technology this rotation is detectable! Do you have any labs there in the UK to take this on? This could really be fascinating. Thanks for your email. I have come to realise over the years that a possible Dark Star companion would need to be quite a bit further out to have so far evaded detection (particularly given the I.R. sky survey conducted by WISE in recent years, which did not pick out a suitable candidate object). But let's say that the figures you've supplied, quite reasonably selected to reflect the ideas presented in my 2005 book, are a good starting point for a testable examination. Around the same time as Dark Star was published, there was another book along similar lines published by Walter Cruttenden (2) that considered an even larger companion object (about 80Mj I think). He ended up accepting that the proposition would not work (it would be a visible star, in reality). Nonetheless, his proposal initially suggested that the very same effect that I think you're discussing was apparent as Earth's Precession of the Equinoxes. This wobble provides a scribing of one degree of arc every 72 years, which is double the figure you suggest. If Cruttenden is right in at least the suggestion of the effect being a Dark Star causal mechanism, then that would give us a data point that could be one step further towards suggesting its position. 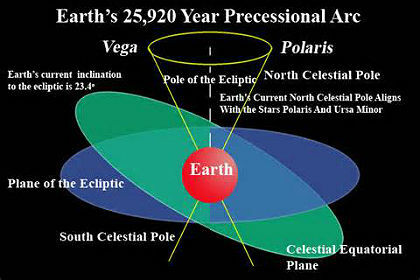 Earth's Precession effect provides a 'Great Year' of about 25000 years, I seem to remember off the top of my head, so perhaps that figure also reflects the orbital period of a possible Dark Star companion as they gyrate around the same point in space? In a way, then, such an idea has already been tested. The question is more properly - is this what accounts for Earth's Precession effect? I've attached a paper I wrote recently on the dark star to be published very soon on a friend's web site (4). It goes into detail on the ideas I mentioned in my earlier note, in particular on the role of angular momentum in the solar system. Well known by astronomers is that the Sun has over 99.9% of the mass of the solar system but less than 4% of its angular momentum. Astronomy has a tortured answer for this, which strains credibility. On the other hand I think the dark star can solve the mystery, which I explain in detail in the paper. I analyze several different orbits for the dark star including Mr. Cruttenden's proposed orbit of 25000 / 26000 years. Regarding Mr's Cruttenden's theory that the dark star might be connected to the precession of the Earth's axis (i.e. the equinoxes), I'm afraid he's off base. Precession of spinning tops, of which the earth is a very large example, is very well understood by physics. Tops precess because of a force acting on the top along a line different from that of the top's spin axis. In the case of the Earth's precession, the gravity of the Sun and Moon provide the necessary force and the Earth's tilt provides the skewed angular deviation. Many complex papers have been written about this but I like this easy-to-read explanation by a physics professor at Northwestern University who explains the details and derives the rate much more clearly than most (5). That said, you do have an interesting point, however. Even though the gravity of the Sun and Moon account for the Great Year, there is another very subtle effect that comes into play. If there is a dark star orbiting the Sun then both bodies are actually in orbit about their common center of mass as we know. The Sun then moves in an orbit in space as well and has a centripetal force acting on it that's proportional to the square of its angular velocity, which would also contribute to the precession except that it's so very tiny that it essentially gets lost. But even though the force is very slight an extremely sensitive gyroscope should be able to sense it if the dark star's period isn't too large, which would prove the existence of your dark star. As you'll see from my paper I believe this dark star, probably a brown dwarf, has already been detected at about 50 billion miles out. The evidence for this is explained in the first section. The paper explains all this in more detail. Your thoughts are very much appreciated. Kind regards, R. F. (6)"
Thanks for your email, which I find myself very much in agreement with, and also the attached document which contained many fascinating discussion points regarding scenarios presented by Sitchin, Warmkessel, Muller and several others. The detail that you have presented about the potential missing angular momentum, and how that compares with studies of various accretion disks was particularly helpful I thought. 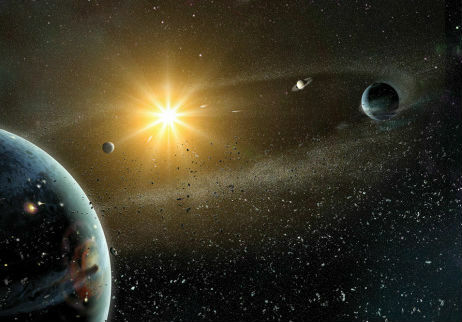 Planet hunters like Mike Brown seem to think that the solar system possibly once had a dark companion (8,9), but that it has been lost to interstellar space over time. This must be a possibility I guess, although I would have thought that within an adiabatic system like the solar system that such a major transition would have involved some deep-seated adjustments in orbital energy levels throughout the planetary zone. Perhaps such a transition might have accounted for the kinds of migratory patterns many astronomers now project for the gas giants in the evolving solar system? Or, maybe it really is still out there and is a misidentified object. Personally, I favour a highly elliptical orbit that produces very little lateral vector across the sky. That way a warm object might have been overlooked or misidentified on the basis of an assumption of more or less circular trajectories around the Sun. But that's speculative, as is much in this field. The indirect evidence for its existence is strengthening by the year, in stark contrast to the lack of supportive data from sky surveys. It's a puzzle, to be sure. "What could possibly cause the heliosphere to shrink 25 percent in just the last 10 years 'and' weaken Earth magnetosphere proportionately 'and' cause 6 to 8-magnitude earthquake values to go parabolic 'and' cause Jupiter's core to liquefy 'and' create Saturn's recent super storms moving through Cancer/Leo 'and' turn Earth magnetosphere around for 28 hours (3.12-13.2012) and do that one year and one day 'after' Fukushima (3.11.2011) and cause the associated Earth Axis Shift 11 days in the year 'after' the 8.8 Chile Quake (2.27.2010) causing another large Earth Axis Shift 'and' cause massive northern ice sheet depletion 'and' ocean conveyor disruption 'and' jet stream fluctuations leading to strange weather anomalies 'and' mass animal deaths at predictable times 'and' magnetic North Pole migration using a series of predictable path loops 'and' explain higher numbers of comets, asteroids, meteors/fireballs falling out of orbit 'and' a seismic pattern going back to 1965 'and' predictable earth change upticks/lulls 'and' the recent global sinkhole uptick 'and' explain bipolar condition in humans multiplying 40 times since 2003 'and' the recent global volcanic uptick 'and' lettered agency psyops using Elenin and ISON Comets claimed to be 'controlled' representing the first two hyperbolic comets discovered by Russians 'and' explain Mars' broken magnetic portal connection/missing magnetosphere, Venus' slowing retrograde rotation, Uranus' robust seismicity, global warming and warming of all the planets in the solar system, Solar Cycle 24 flat lining at the end of 2011 'and' the earth change events connected to the accounts of Noah 'and' Moses that coincide with the Nibiru orbit period from the Sumerian Tablets 'and' the prophecies of Jesus Christ from Matthew 24 (Joel 2) and Revelation (Wormwood) 'and' just for starters? Replacing the 'and' with 'or' creates a wide spectrum of probabilities, but all of these symptoms together at the same time allows us to eliminate the impossible and improbable to find the truth. Thank you for your detailed reply, and the information that you have laid out as evidence for an incoming Dark Star object. As you say, many of these are localised issues which taken independently would be explainable individually as part of general earth-changes within the cyclical roller-coaster of natural events. What you are addressing is whether there is a pattern emerging from this data that might indicate a common source causing this disparate effects. Any kind of scientist worth his/her salt is in the job of trying to spot such patterns and learn from there. That's how discoveries are made, so your line of enquiry is both valid and, for all anyone knows, extremely timely. Let us say that a number of these factors (I'm particularly thinking of the geophysical ones) are anomalous enough to require a common explanation. We can look at the Earth's own cyclical behaviour (e.g. Milankovitch cycles), it's propensity for catastrophism (under-appreciated, in my view) and its underlying fragility in terms of its ability to offer stable support for varied ecosystems. We can look at the Sun, which remains an unpredictable and mysterious stellar object in terms of the mechanics of its cycles and behaviour, and its potentiality to unleash storms upon the solar system that inflict immense damage. Then we can look at rogue objects potentially lying undiscovered in the depths of the solar system which, like the comets, might periodically reappear as a Wild Card to stir things up. Stepping out of these apparently isolated frames of reference and looking at the situation as a whole, one might propose a situation whereby the Wild Card cyclically steps into the fray, and provides the overall system with a whole new cycle to take into consideration, in the form of gravitational and magnetic disturbances. Thus, a Gestalt is potentially at play, providing the cause and effect mechanism for a large scale pattern of change that Science at this time is blind to. This, I think is a reasonable premise to work from, in terms of the study of solar system catastrophe and more importantly, the ability to predict future events and outcomes. This, too, is arguable. I would agree that the rogue object is unlikely to be a 'brown dwarf star'. My initial proposals all those years ago, which have stuck in the Planet X mythology ever since, did call for a brown dwarf failed star, but I have realised subsequently that the object would need to be much cooler, and less heavy - probably a sub-brown dwarf object of Jupiter proportions, but with a much-reduced heat and light signature. Its gravity alone would thus be sufficient to warm its moons and create habitable conditions there, which is the main thrust of the Dark Star Theory Any other emissions of warmth and cool light are a bonus. The ability to observe reflected light (I'm thinking specifically of planets) drops away to the fourth power with distance. Which is why we can't see Uranus and Neptune, even though they are much bigger than the inner solar system planets (which do appear in the sky). So, a sub-brown dwarf could be out there, although at a considerable distance to have avoided detection with an instrument such as WISE. You are perfectly correct to make the point that an incoming, perihelion-cruising object of planetary size would be seen quite readily within the solar system. To consider the potential for such an object in the planetary zone at this time, it's necessary to pull the parameters for this object's size right down. Therefore, to make this 'fit', then your proposal for some kind of ultra-dense, small and dark object would, on the face of it, fit the bill. Effectively, you're proposing a neutron-star like object which would have strong gravitational capabilities to affect other solar system bodies, and significant magnetic properties, too. You say it would be cool (arguable) and dark, thus evading direct detection in standard telescopes, but also IR surveys (like WISE and IRAS). However, such an extremely dense 'star' would be a highly energetic object indeed. It would be likely to emit significant streams of all kinds of high energy radiation; like X-rays and microwaves, and possibly even gamma-ray bursts. Given that astronomers scan the skies in these frequencies too, then such an object would stand out as a strong anomaly in the local cosmic environment. In other words, they'd easily spot it at really quite considerable distances, let alone right on top of us. In that important respect, the Black Star idea creates a detection issue that is far worse than the problems attached to a mere sub-brown dwarf. That, in a nutshell, is why I'm skeptical of this particular solution. But, even in this case, the intense gravitational well associated with the object would still provide a glaring anomaly for astronomers - there would be a significant gravitational lensing effect of background starlight being distorted by this super-dense star. These kinds of Relativity effects are well known. Given that the alleged object is moving through perihelion, and given parallax effects associated with the shifting position of the Earth in relation to its own movement, then that lensing effect would be non-stationary, and thus even more anomalous. For scientists to have missed such a unique, glaring celestial event requires conspiracy theories of significant proportions. "Thank you for writing and, yes, sharing. I appreciate hearing your views very much. 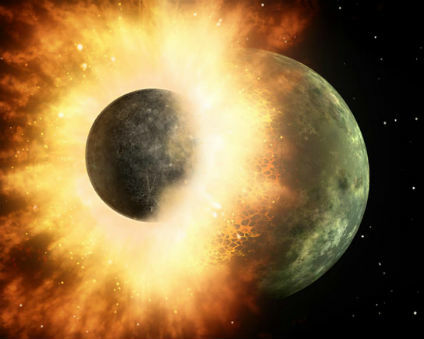 Earth passed between the Sun and Black Star around the second to third week of April 2014, when we had an 8-magnitude quake, six 7-magnitude quakes and seventeen 6-magnitude quake events in a 19-day period. Earth crossed Black Star Orbit Path on May 20, 2014 for the magnetic North Pole to reach the bottom of the recent path loop farthest from Siberia on May 21, 2014. Earth moved to outside-orbit position making the right triangle with the Black Star relative to the Sun around the third week of July 2014 to begin the back orbit phase of the 2014 Earth Orbit Cycle that marked the 'low' value of 2.5 to 4-magnitude earthquakes at 177 (high cycle value was 536); just one quake different from the week of January 5, 2014 marking the start of the 2014 Earth Orbit Cycle. Earth passed behind the Sun relative to the Black Star amid another flurry of X-class flares on November 15, 2014 to begin the current earth change lull period that will end around the first of February 2015 to begin the next orbit cycle. Then a massive earth change uptick period will begin, until Earth again passes between the Sun and Black Star in the month of May 2015. "There is a disparity between the nearside and backside alignments that is yet to be understood, but look for many high-magnitude quake events for the month of May 2015 very close together; as the Earth once again passes between the two binary twin stars with another round of fluctuations in Earth magnetosphere; as the heliosphere and magnetosphere continue to weaken from nearing Black Star proximity and rising percentage of Sun/Black Star magnetic portal inner active conduits. The primary Sun/Black Star magnetic portal connection will have reduced insulation properties, as inner active portal conduits become increasingly pressurized to grow in diameter forcing the smaller passive conduits to the exterior for increased Sun/Earth/Black Star portal-to-portal cross firing creating inner solar system environmental conditions conducive to large X-class solar flare generation; as the Sun interprets increased electromagnetic cloud influences as foreign inbound bodies to launch defense countermeasures. Hopefully we are not looking at a Black Star/Earth crossing event anytime soon, but we are running out of space in the orbit diagram for this to take very much longer; as the nearside alignment quake events are converging on the Earth/Black Star crossing date indicating that the Black Stat (sic) has arrived. Who the Heck is Andy Lloyd? I came across your work while inquiring about how earth acquired its water. I am now reading your book, "Dark Star, Planet X evidence", and while I find it compelling, I keep asking myself the question, "who is Andy Lloyd?" 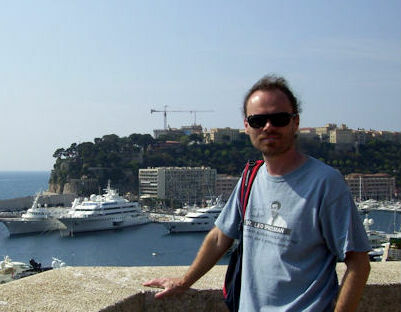 I have found virtually no information about you or your education or history as an astronomer on the internet. I found only one biography reference to you as having a BS in chemistry, a registered nurse, an artist and an author and several references to your book. - Not much to go on. I am trying to be brief here and I mean no disrespect for you or your work, but I want to know more. So I am asking you - Who are you and what makes you an authority in the field of astronomy? Thanks for writing, and I hope you're enjoying the book. In answer to your quite reasonable enquiry, I am not an authority in the field of astronomy. I suppose I fall into the category of amateur astronomer who has a deep interest (and training) in academic science. My degree in chemistry came from Lancaster University (1986-9) with First Class Honours, and included a year at the University of California as a scholarship exchange student, where I attended a number of graduate courses. I then returned to UCSD (1989-1990), for a PhD course in Organic Chemistry, working for Professor Charles Perrin, to which end I received a substantial industrial scholarship. This promising academic career was unfortunately cut short by my mother's long-term illness turning acute here in England. I returned home to care for her, which has kept me in my home city of Gloucester ever since. As we have no substantive academic establishment in this county to speak of, I got on with the rest of my life by going to work and picked up a job as a nurse. It turns out I'm pretty good at it, and I've worked at the city's hospital ever since, doing what I suppose society considers worthy, but possibly lowly work. C'est la vie. So, what you've said is perfectly true. My Dark Star research has been a passion for many years, and has helped me to keep my academic studies going on a more or less independent basis. It's had its ups and downs, and I've always tried to keep science at the forefront of my investigation. For me, it's an idea that is worth examining, and one that many academic scientists have tentatively considered in recent years in response to the discovery of anomalous KBOs and the like (I've detailed this in my blogs, which add further to the material in the 2005 book). I assure you that it if a companion object is ever found then no one will ever credit me with anything whatsoever, as I am not an authority on the subject, as you quite rightly say. But that doesn't mean that I'm necessarily wrong.